Our private label Cary LaScala's FALL 16 styles now available at all locations. this December 18th - 20th for another sale just in time for Christmas! 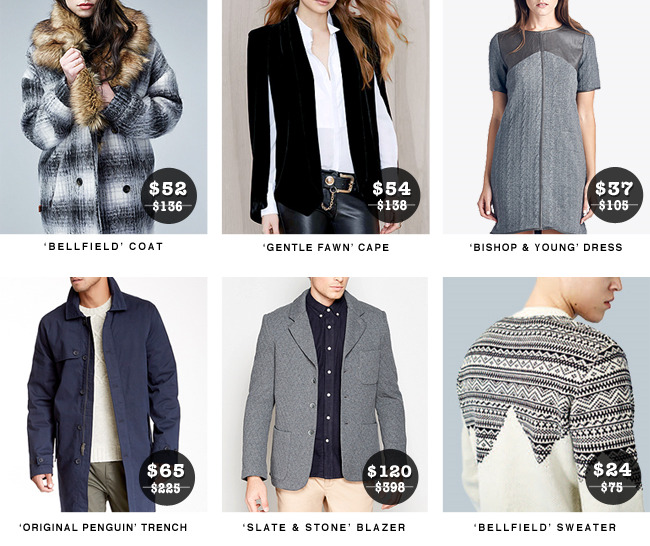 Just as a little more incentive, also take an extra 20% off all our other clothing brands. in multiple sizes for men and women that we will be sending to all locations. Perfect last minute gifts, all sustainably made from organic cotton with nothing over $35. This Black Friday, take an extra 50% off your entire purchase at all locations! We will be opening earlier at 10am, and closing later at 8pm. Some exclusions apply, all sales final. Also, to celebrate small businesses take 30% off all apparel the following Saturday & Sunday! Sale includes our private label, Cary LaScala which you know we rarely discount. Happy Holidays from us over at Cary Lane! See you soon! 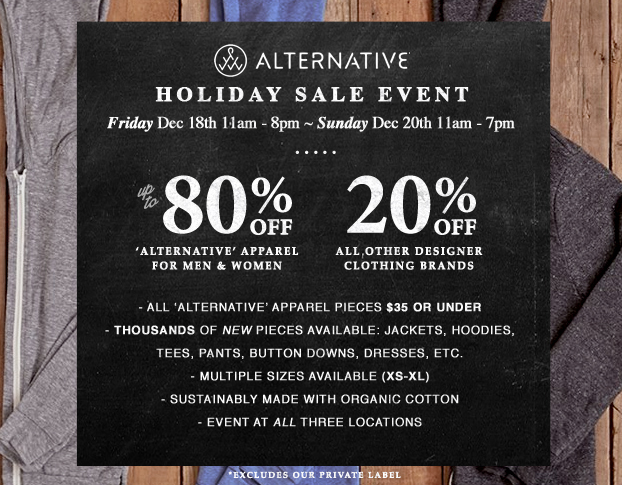 This weekend, Nov. 7th (11am - 7pm) & 8th (11am - 6pm) we are hosting an Alternative Apparel Sample Sale! Also, take an extra 20% off all other clothing brands at all three of our locations. This sale includes new arrivals, markdowns, and our private label line Cary LaScala. Alternative Apparel is best known for comfort, simplicity and its commitment to sustainability. Clothing made from soft eco-fabrics, organic and pima cotton, offered in multiple sizes (xs- xl) for both men and women. No Alternative Apparel pieces over $35! 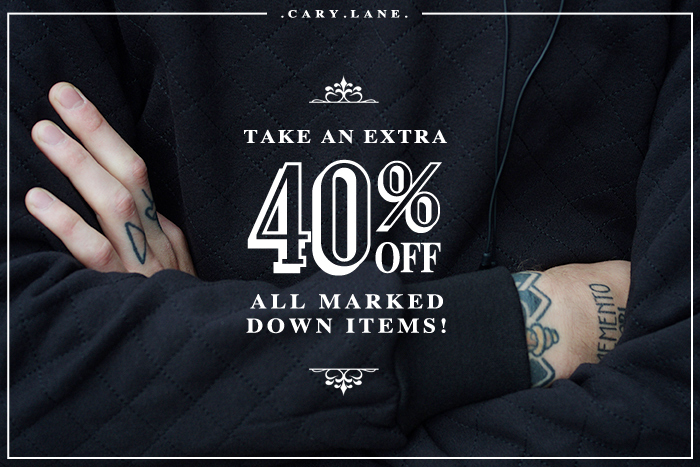 Starting right now until end of day Monday, we are taking an extra 40% off all mark down items at every location!